Hey, friends! I hope your Friday is off to a great start. We’re gearing up for a rare weekend when we aren’t on the road, which I’m really excited about. Our weekend is still pretty packed with activities, but it will be so nice to be home! The nonstop travel and commitments are starting to wear us down, so we’re vowing to try and slow down — at least once we get to November. Our schedules are pretty packed until then! 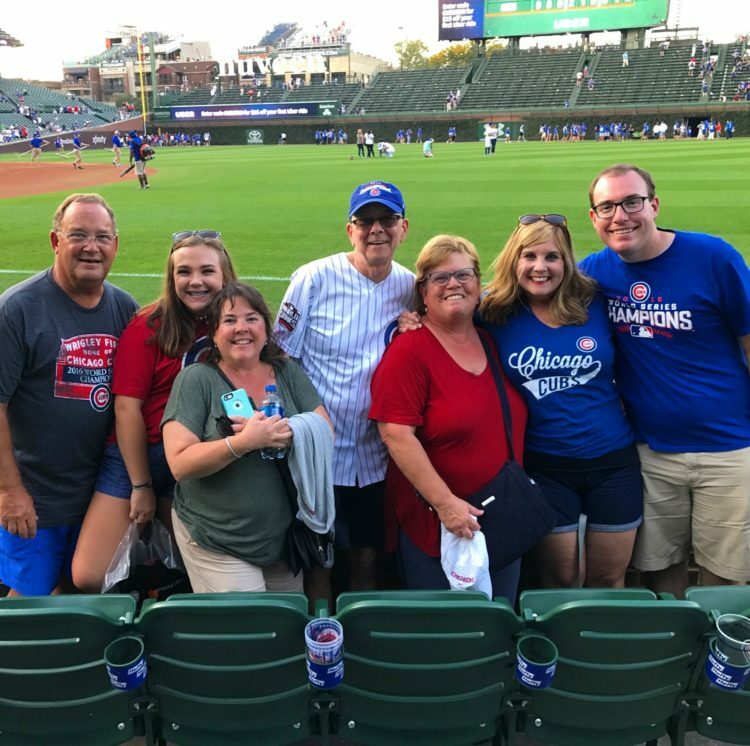 We spent last Saturday driving to Chicago to see the Cubs beat the Cardinals at Wrigley Field. We went to the game with my parents and aunt, uncle and cousin, who came up from Arkansas. We’re all big Cubs fans, but Zoe had never been to a game! We sat in the first row along right field, which are likely the best seats we’ll ever have at Wrigley. Having to keep our eyes open for foul balls added to the excitement of the game and it was special being able to share the experience with family. James and I had actually never been to a game at Wrigley together, which is hard to believe! Zoe even got a home run ball to take home. 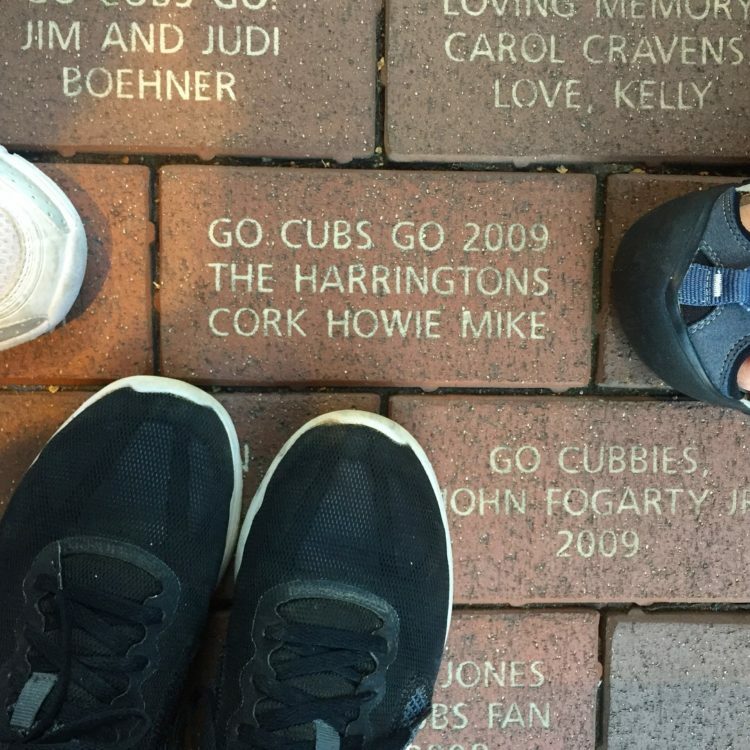 While we were there, we tracked down a brick dedicated to my dad, uncle and grandpa, which is right behind the bleachers at Wrigley. We have a replica of it sitting on the fireplace at my parents’ house, but being able to finally see the real thing in person was the highlight of the outing for me. I’m a huge Margo Price fan, so I was thrilled to see her featured in the most recent issue of Garden & Gun. I love the amount of detail Price puts into her lyrics and I appreciate them even more after reading more about her backstory. I’m anxiously awaiting the release of her new album next month and can’t stop stalking her website for concerts near us. If you’re a fan of old school country and folk music, I can’t recommend Price enough. We’ve been so busy lately I haven’t had much time to experiment in the kitchen. Getting dinner on the table period has been challenging, so I’ve been making a lot of sheet pan dinners. 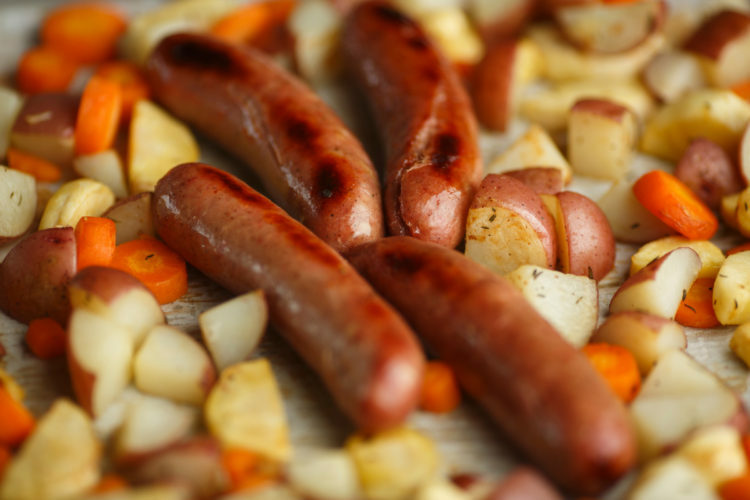 I throw a few chicken sausages and whatever veggies we have on hand onto a large baking sheet and roast it all for about 30 minutes. It may not be the most elaborate or creative meal, but it’s so much better than running through a drive thru and gives us leftovers for lunches! 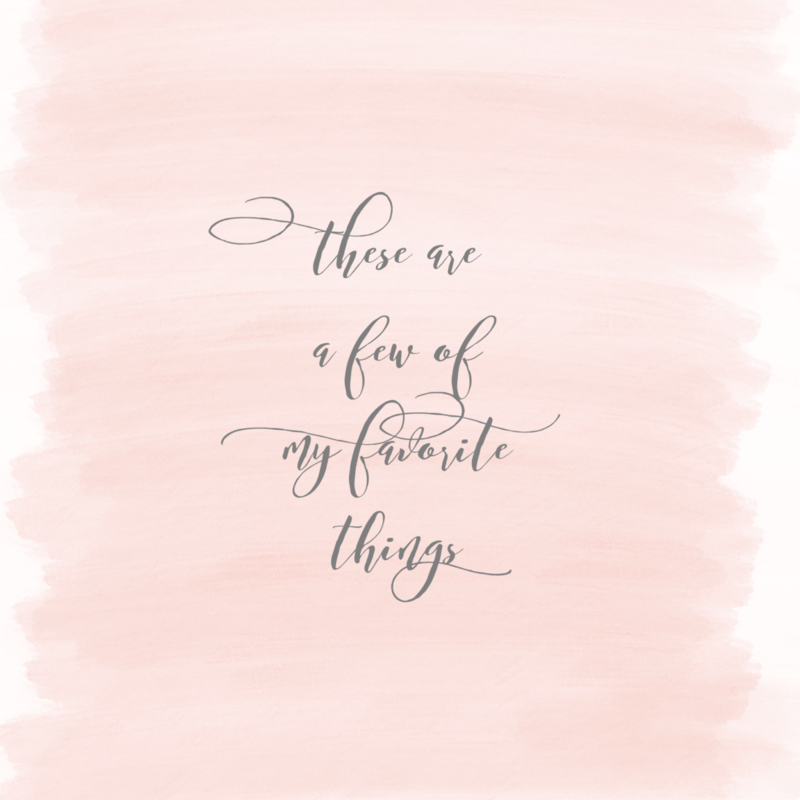 What are you loving this week? Chime in by leaving a comment!